The Firefly2 is one of the sleekest, stylish, powerful, and discreet vapes on the market. Here’s how to make sure you’re getting the most from yours. Vaporizers have come a long way from the cumbersome tabletop contraptions of days long ago. Today, they are sleek, stylish, powerful, and discreet. One of the latest and greatest is the new Firefly2. With its air-insulated chamber, you’ll never have to worry about putting a hot vape back in your pocket. It produces dense, high-quality vapor directly from either flower or concentrate and gives you all the benefits of full terpene profiles without the dangers of smoke. Here’s how to make sure you’re getting the most from yours. 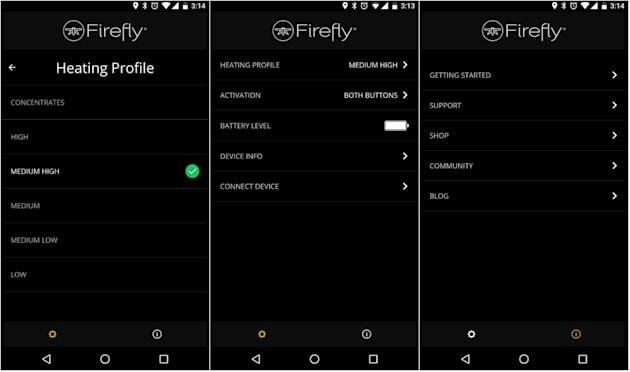 The Firefly2 has an app to suit you, as it is available on both Android and Apple devices. Firefly suggests you set ‘button settings’ to acknowledge either side being pressed. This will make using your device easier. The app allows you set the temperature where you want it, be it for flower or concentrates. Play with heat settings to get the customized vapor you desire. Low heat will give you tastier terpene hits. Hot heat will produce bigger clouds. Ensure mouthpiece is inserted correctly – you will hear/feel a click. Load bowl with the coarsely ground buds. If you aren’t getting the resistance you want, place a concentrate pad on top of the bowl and see if that helps. Size matters: If the bowl is less than full, you will not be able to get a good hit. Conversely, if it’s too tightly packed, your breath won’t be able to circulate through the weed and heat it up. There’s a learning curve, but once you master it you’re golden. Make sure the glass vapor path is free of any debris and the magnetic lid is fully sealed. You can turn your bowl after 4-6 hits so that the green side is now facing down. It’s easy to do- simply dump the material from the bowl onto the lid, then place back in the bowl, upside down. Don’t overload the pads at first. Experiment with smaller dosages (like the size of a sesame seed) until you have an understanding of how they work, to ensure that your device stays clean and that you are still able to tie your shoes. Clean your Firefly often (daily or otherwise depending on use) to keep your vaporizer sparkly and clog-free and your vapor pure and tasty. Remember that you are essentially micro-dosing cannabis with the Firefly2. It is not a bong rip, and it doesn’t aspire to be. This sophisticated device allows you to introduce small amounts into your body. You can, therefore, have the exact amount you want: just a few puffs for a twinkle of a high, or an entire bowl for a very full high. It’s up to you. You can build up to what you’d like.